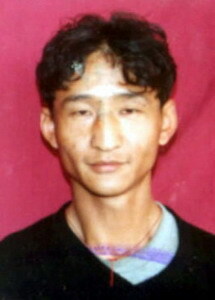 On the “Day of the Imprisoned Writer 2013”, High Peaks Pure Earth remembers Tibetan writer and teacher Dolma Kyab, sentenced to ten and a half years in prison in March 2005. The preface and first chapter of Dolma Kyab’s unpublished Chinese language manuscript “The Restless Himalayas” are presented below. The emotional preface gives way to a summary of Tibetan history, a strong basis for the rest of the book that is comprised of fifty seven chapters, concluding remarks and an afterword. Here it should be noted that the last four paragraphs of the English translation of Chapter 1 were lifted from a report published in 2009 by the International Campaign for Tibet titled “Like Gold That Fears No Fire” and available for download. The report features an in-depth introduction to Dolma Kyab’s case as well as many essays and commentaries by Tibetans worth reading or re-reading. I grew up in the swaddling clothes of my people. I saw that my people lived in the highest place in the world. However, I lay on the ground, and, looking at the world, I cried. Those were tears of reason. I grew up with the love of my parents. When the foreheads of my ageing parents became covered with the wrinkles of their love for me, I cried. Those were tears of emotion. It was because of this that I decided to do something for my people and for those people who were like my parents. I knew that dedicating my life for my people would be difficult. I wanted to persuade people with my reasoning, not act as a model for others to follow. There was virtually no way for me to know if the future would provide me with any opportunity to contribute to this cause. But I have a dream – that one day, we will invite our honoured spiritual leader, the Dalai Lama, to return home. I hope that all Tibetans take good care of our homeland. Our beloved Dalai Lama, who loves us more than anyone else, is about to come home. He will be together with us forever. I also have another dream – that one day, those children who have been drifting out in foreign lands, away from the their parents, will return home, putting an end to an era of motherly longing; that all children can forever be together with their parents. There is a great need to explain the concept of “Tibet”. For many years, in efforts to reduce the overall scope of Tibet, the majority of people have continuously referred to “Tibet” in narrow terms, in order to achieve ulterior political motives. To allow people to more easily gain a clear understanding of the concept of Tibet and the entire scope of that term, I will discuss, in the following chapters, the accuracy of the term “Tibetans”, the topographical range of the area of “Tibet” and the ethnic group referred to by the term “Tibetans.” I will support my explanations with historical and geographical concepts. Historical geography is a traditional cross-disciplinary science that studies past historical events in relationship to the land on which they occurred through the use of chronology and organisation, resulting in a narration of past historical events and present experiences. Historical geography is also used to provide a guide for the future that is as accurate as possible. As a branch of geography, historical geography overlaps with the study of geopolitics, desert historical geography, the expansions and contractions of territory, ruins, the changes of rivers, agricultural historical geography, population historical geography, administrative region changes, flora and fauna changes and so on. We emphasise the principles of geopolitics in explaining the concept of Tibet. According to natural geographic divisions, Tibet includes the entire Qinghai-Tibet Plateau. This is determined by the common traits shared by this region’s climate, precipitation, vegetation and terrain. The Qinghai-Tibet Plateau could also be called the Tibet Plateau. In terms of cultural geography, this region not only includes the Qinghai-Tibet Plateau, but also includes the southwest Hexi Corridor, the Sichuan Basin and west to northwest Yunnan-Guizhou Plateau, southern Himalayas and the Ladakh region. This is primarily because of the cultural commonalities of these areas, combined with similarities in geographical environment. In terms of geopolitics, Tibet is comprised of three large regions: Ü-Tsang, Amdo and Kham. Tibet is not the name of an ethnic group; rather, it refers to regions occupied mostly by Tibetans that also include geopolitical regions occupied by Mongolians and Chinese. More precisely, it is the name of a country. The term “Xizang”, as it has always been used by the Chinese government, refers only to the Ü-Tsang region. In using the term this way, their goal is to confuse or alter the concept of Tibet, and thus disperse the power of Tibetans and achieve their own long-held goals of controlling Tibet. It is immensely important to gain an exact understanding of the term “Tibet.” In the Chinese language, “Tibet” was known as “Tubo” during the Tang Dynasty; “West Bo” during the Song Dynasty; and “Ü-Tsang, Ngari and Three Surrounding Regions ” during the Yuan Dynasty. None of these terms included Amdo or Kham. During the Ming Dynasty, the word “Ü-Tsang” became encompassed by the word “Tibet”. In 1663, the Qing Dynasty government stated that Tibet was the general term that referred to the three regions of Ü-Tsang, Amdo and Kham. After China invaded and began to occupy Tibet, the Chinese reduced the size of the area known as Tibet to just the Lhasa region. However, the real Tibet includes all of the areas known today as the Tibet Autonomous Region, Qinghai and Gansu, Sichuan, Yunnan and Ladakh. The Chinese words “Zang ren” and “Xizang ren” [both terms translated as Tibetan in English] refer to two different concepts. “Zang ren” refers to the ethnic group that resides [primarily] in Ü-Tsang, Amdo and Kham – in other words, the regions known today as the Tibet Autonomous Region, Qinghai, Gansu, Sichuan and Yunnan. The term “Xizang ren”, however, refers to all of the ethnic groups that reside in Ü-Tsang, Amdo and Kham – namely, the Tibetans, Mongolians, Han Chinese, Hui and other peoples throughout the Qinghai-Tibet Plateau and the southwest part of the Hexi Corridor, the northwestern part of the Sichuan Basin and the northwestern part of the Yunnan-Guizhou Plateau and the Ladakh region of Kashmir. Because the vast majority of “Xizang ren” are “Zang ren,” over a long period of time the English term “Tibet” has developed to encompass the two separate concepts of “Xizang ren” and “Zang ren.” In other words, all the peoples of Tibet make up “Tibet”, and the ethnic Tibetans, specifically, are “Tibetans”. Thus, many nations of the world today are not nations comprised of just one ethnic group; at least, this is not the case for Tibet. There are many nations that are similar. For example, the Hindustani people comprise the majority of the population of India, and people have grown accustomed to referring to the Hindustani people as “Indian” or “Indians”. At the same time, the term “Indian” refers not only to the Hindustani people residing in that country, but also encompasses the Telegu, Bangladeshi, Sikhs, etc. Another example is Britain, as its main ethnic group, the English, make up 80% of the country’s population. But besides ethnically English people, there are also the Scottish, Welsh, Irish and others. However, the world – England itself, included – refers to this country as “England” referring also to all of the people living there as “English”. In Chinese, these two terms are translated as “Yingguo” [“England”] and “Yingguo ren” [“English”]. Thus, with regards to Tibet, we must make clear the sphere of influence encompassed in the objective reality and the universal usage of these terms. If one were to say that the borders of Tibet include only the Ü-Tsang area, that would be as laughable as saying that China only refers to the area around Beijing, or that the United States is comprised only of the area around Washington, D.C. The government of China has its reasons for referring to Ü-Tsang as Tibet. If Tibet were to one day become its own independent country, then it would be separated into two parts–much like Outer and Inner Mongolia. The Amdo region of northeastern Tibet and other regions would most likely become permanent colonies of China, therefore permanently losing their freedom. To be clear, for the understanding of Tibetans, the term “Tibet”, as I will use it throughout the chapters of this work, refers to the name of the country comprised of all of the areas of the Tibetan region; the term “Tibetans” refers to all of the peoples residing within the borders of Tibet. Furthermore, the country of Tibet is a classic buffer state – a buffer state between China and India. More importantly, the country of Tibet is a region of peace – a peaceful, neutral Buddhist nation. Anyone who understands Tibet from the viewpoint of the Chinese is dividing Tibet into two regions: Eastern Tibet and Western Tibet. A Chinese scholar once informed me that Tibetans sometimes refer to China as Zhina. The word “Zhina” comes from Sanskrit, and Tibetans began using this term around the Southern Song Dynasty. “Zhina” refers to the Qin, Han, Three Kingdoms, Wei, Jin, Northern and Southern Dynasties, Sui, Tang and Song Dynasties. After Tibet was incorporated into the territory of China during the Yuan Dynasty, the Sanskrit term for “China” then included Tibet – this is the reasoning presented to me by that Chinese scholar. However, we must remind everyone that the entire 13th and 14th centuries belonged to the era of the Mongolian Empire. The Yuan Dynasty was a part of the Mongolian Empire. In fact, it was the last part of the Mongolian Empire. Therefore, it should not be considered part of the history of China. Therefore, when Tibetans referred to China as Zhina, this term naturally did not include Tibet. Likewise, in the Tibetan language, the words for China and Tibet are very distinctly different from one another. China is referred to as “Gyana,” and Tibet is called “Gangjong”–the names of two independent political regions. For the sake of limiting the size of this work, in the following chapters I will not re-explain in detail my argument as to why Tibet should or should not be considered part of China. My aim is to merely offer an explanation of the regions included in the area of Tibet (Ü-Tsang, Amdo and Kham). Those who wish to gain a better understanding of Tibetan politics may please refer to Tibetan historian Shakabpa’s book “The Political History of Tibet” and the Dutchman Mr. Van Praag’s book “The Status of Tibet” etc. It should be known that understanding the realm and range of Tibet and understanding that Tibet was formerly a viable independent nation before being colonised by China is of great benefit to all Tibetan people in understanding ourselves. In the world famous epic (Tibetan poem) King Gesar there is the famous axiom “If I know not myself, how can I know this land?” Therefore, it is only when we understand ourselves that we then have the power to understand this land that belongs to us. In fact, such an understanding is a great unifying force behind a spirit of rejuvenation. It pushes us a step further towards understanding ourselves, and initiates an understanding of the world. And as such our hopes will no more be dreams. I remember when China’s Mr. Deng Xiaoping said to a western leader “There are people who want to split Tibet from China, to take Tibet away, but I don’t think they are able.” We were so simple in those days, and we too firmly believed that there was no one to take Tibet away. But today, my generation of Tibetans who have grown up in a colony firmly believe in another truth, that Tibet will always belong to Tibetans; and if China believes an ‘ability’ is needed to take Tibet away then our generation of Tibetans has that ability and then our next generation will have that ability too. Tibetans believe that there are no tigers in this world that cannot be slain, only people who dare not slay them. We Tibetans are rallying our strength with every passing generation, and even with their guns the Chinese government won’t be able to deal with us. It is the wish of we Tibetans that both parties will wisely choose dialogue, and that too is the wish of the Chinese government and people. The key to this beautiful peaceful wish lies with the Chinese government, and not with us, the children of this colony. 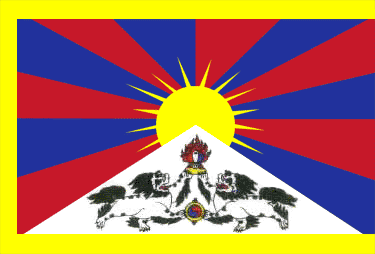 Within the concept of the Tibetan realm of which we speak, the existence of any concepts of Tibet’s history and geography and concepts of plans for future undertakings on Tibet must be expressed in such a way as to completely satisfy doubting Tibetans as well as Chinese people who accept nothing about Tibet. This is our duty as Tibetans, while the supporters of mass actions are responsible for an unattainable burden of proof. In particular, a spirit of unity – an attitude of being able to conquer everything that ails us – does not help if we are passive. A far more welcome and greater undertaking is being able to see more clearly a correct strategy. “But I have a dream – that one day, we will invite our honoured spiritual leader, the Dalai Lama, to return home. I hope that all Tibetans take good care of our homeland. Our beloved Dalai Lama, who loves us more than anyone else, is about to come home. He will be together with us forever. I salute you, Dolma Kyab. Frankly speaking, our very own super patriots like Dolma Kyab really have inherited the spirit and qualities of our great forefathers in entirety. We can’t match the powerful writings of Dolma Kyab, nor we can match fiercely patriotic songs of Dolma Kyab! It seems, having lived in exile away from our homeland, we are gradually and without our knowing shedding some bits of qualities of our being Gangchenpas! So it is good that we have access to this kind of works that have tremendous value and substance, for through it, we can recharge our fast fading spirit and determination to match their monumental efforts and determination! I Bow down to you and your undying spirit of freedom! Thank u for bringing us the works of Woeser la and dolma kyab and keeping us abreast of everything that is happening in Tibet.They not only expose the atrocities and excesses of China in Tibet but also help to fashion the future soldiers of Tibet. Keep up with what u are doing tirelessly.You have legions of silent admirers who await for your blogposts eagerly.